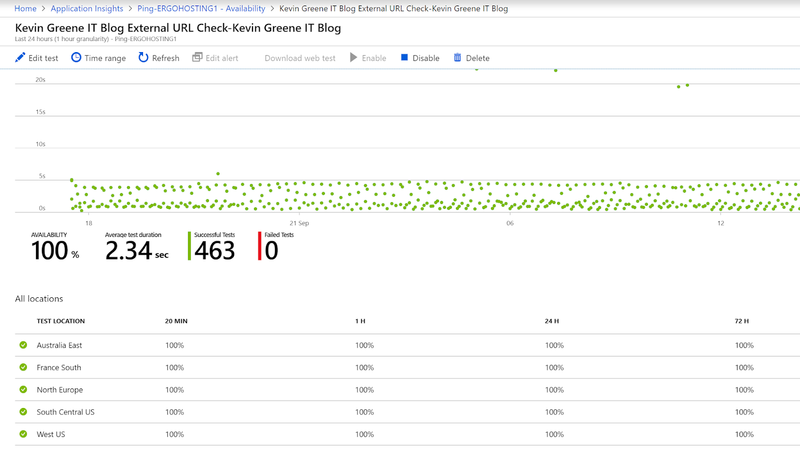 Things have been pretty quiet on this blog over the last few months and the main reason is that I've been pushing hard with some of my awesome MVP friends to author and publish our new book titled 'Inside Azure Management'. 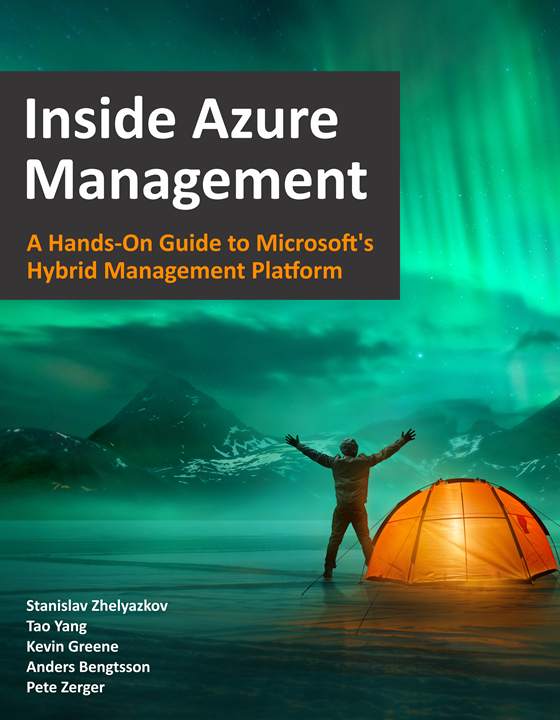 Our hope for this book is that it will become the market leader in the Azure Management space and when you consider the team of authors and technical reviewers that are involved, this should be easily achievable! I had an epic time working on this book and it was a pleasure to collaborate again with my good friends and co-authors Stanislav Zhelyazkov, Tao Yang, Anders Bengtsson and Pete Zerger. This book is a complete re-write from it's predecessor (Inside the Operations Management Suite) and the goal is to bring our readers on a journey through the sometimes complex and always awesome Azure Management technology stack of services. In the cloud game, it's nearly impossible to know everything about everything and I definitely learned some new tricks as I read through the chapters that my co-authors worked on. 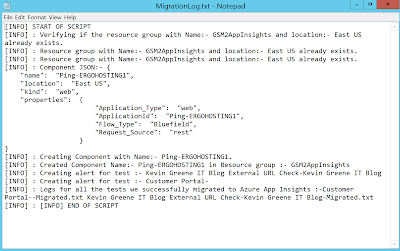 The chapters I wrote focused on Azure Migration, Azure Infrastructure Monitoring and Azure Disaster Recovery. 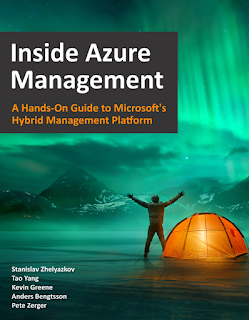 All of the authors and technical reviewers are strong advocates in the Azure Management community and to give something back, we've decided to release this book as a free download to anyone who wants it. 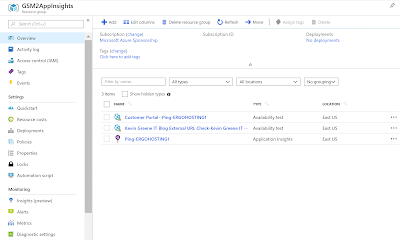 Don't be fooled into thinking this lacks quality or effort by the fact that we're giving it away for free as we're confident that you won't get a better book than this on Azure Management from any of the usual paid-for publishing channels. 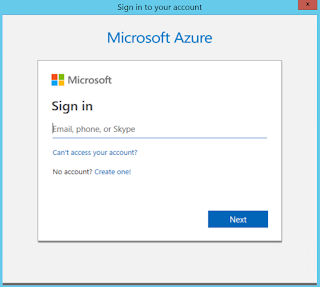 Please report errata to insidemscloud@outlook.com and we'll work through any feedback we receive there. 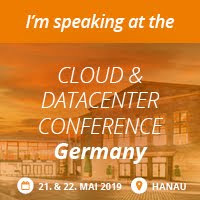 System Center 2019 is now Generally Available! Following on from last weeks post, Microsoft has just announced the General Availability release of System Center 2019. This release is part of the long term servicing channel (LTSC) license model and comes with a support bandwidth of 10 years. 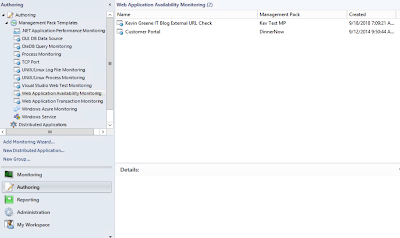 VMM integration with Azure Update Management for simplified patching of virtual machines. 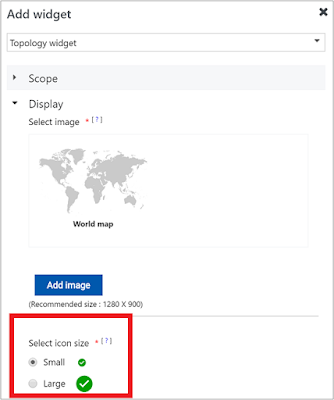 Better SCOM integration with Azure services such as Service Map to create automatic Distributed Application models based on server dependencies. 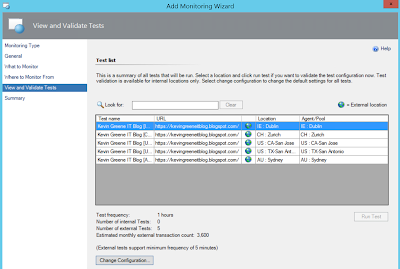 Azure Management Pack brings comprehensive alert and performance metrics from Azure resources into SCOM. 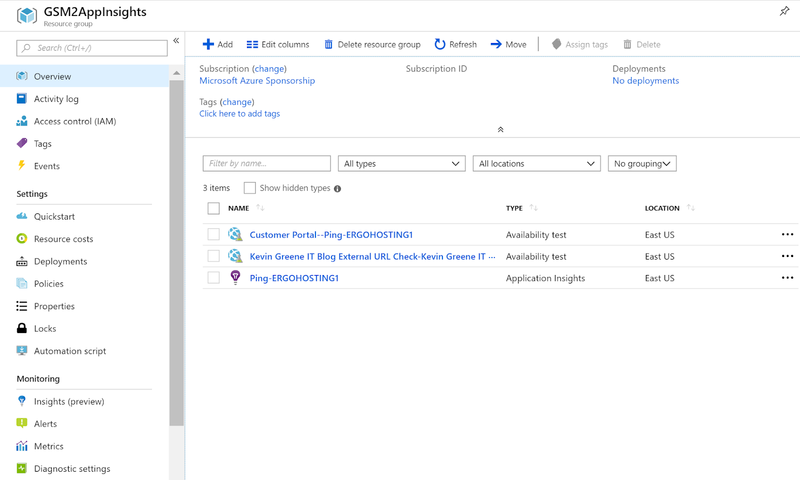 Along with a modernized and extensible SCOM full HTML web console, subscriptions and notifications are now modernized with support for HTML based email. Maintenance schedules in SCOM with SQL server AlwaysOn are now supported. SCOM Update and Recommendations feature for Linux workloads enables discovery of up-to-date MPs for Linux environments. 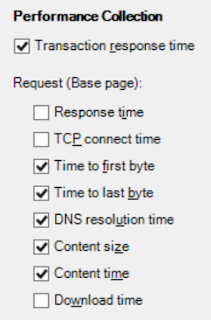 Linux monitoring is now resilient to SCOM management server failover. 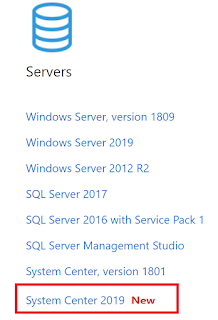 All Windows Server Management Packs now support Windows Server 2019. Dynamic Storage Optimization in VMM enables higher availability of workloads. 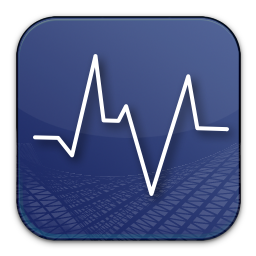 VMM now provides health and operational status of storage disks in Hyper Converged as well as disaggregated deployment. New RBAC role in VMM ensures that IT admins can be provided access commensurate with their role and no more. 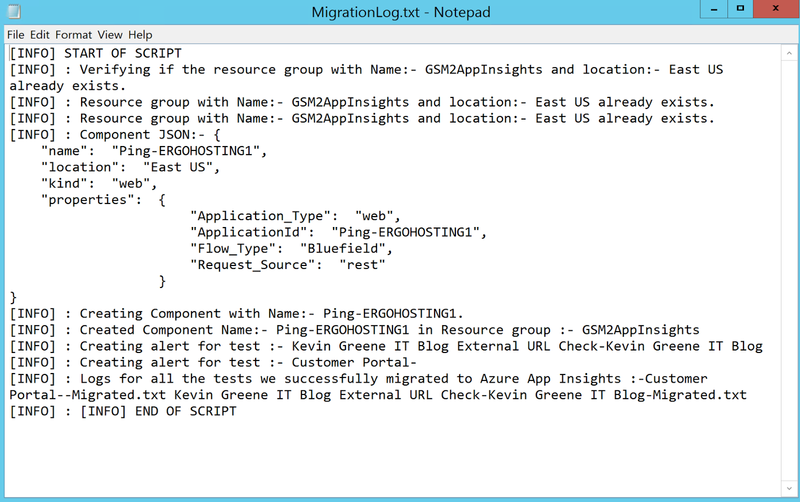 Support for latest versions of VMware in VMM (to enable migration to Hyper-V). DPM further supports backup of VMWare VMs including to tape. 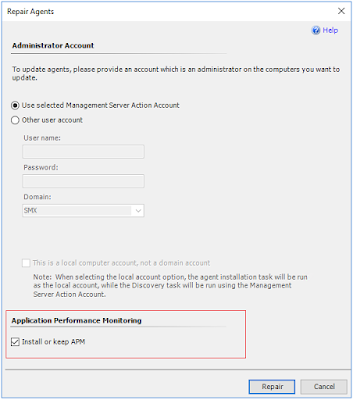 Service Manager has an enhanced Active Directory connector. 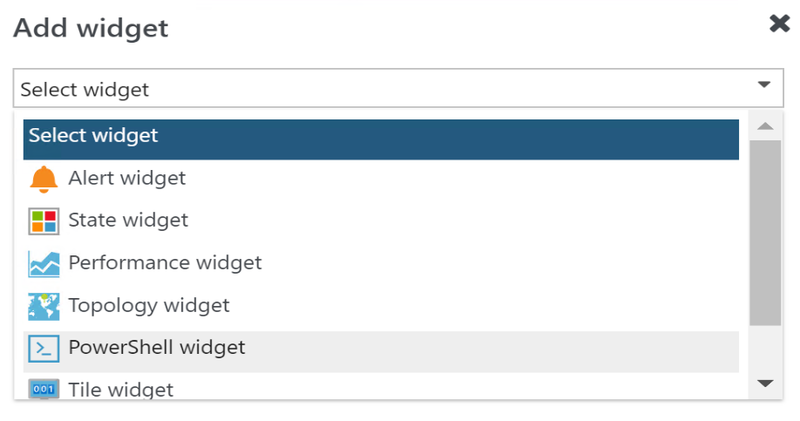 Support for service logon across the System Center suite aligning with security best practice. You can get your hands on this latest release from all of the normal download channels including Volume Licensing Center, my.visualstudio.com and also the Microsoft Evaluation Center. 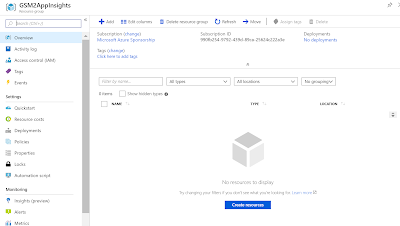 SCOM 2019 Lands This Month and Semi-Annual Channel Is No More! 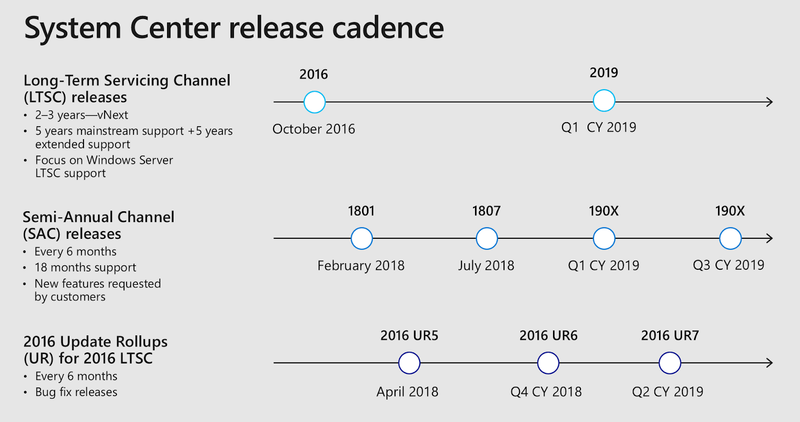 Yesterday, Microsoft announced that System Center 2019 would be made Generally Available this month (March 2019) and sandwiched into the same announcement came some interesting news about last years previously released Semi-Annual Channel licensing model. The upcoming release of System Center 2019 is licensed as part of the traditional Long Term Services Model (LTSC) and provides the typical 5 years of standard support and 5 years of extended support that we've come to expect with previous LTSC releases. 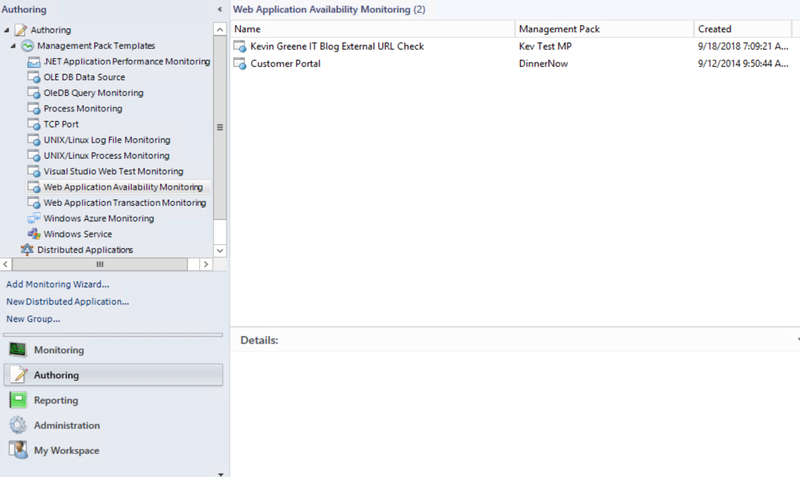 Looking through the list of new features and enhancements to each of the products in the System Center 2019 suite, it's clear to see that the likes of SCOM, SCVMM and even DPM are being shown some developer love by Microsoft but the sheer lack of updates to both Orchestrator (better PowerShell support) and Service Manager (improved AD connector) should now clearly lay down a marker for where these products lie in the priority list going forward. 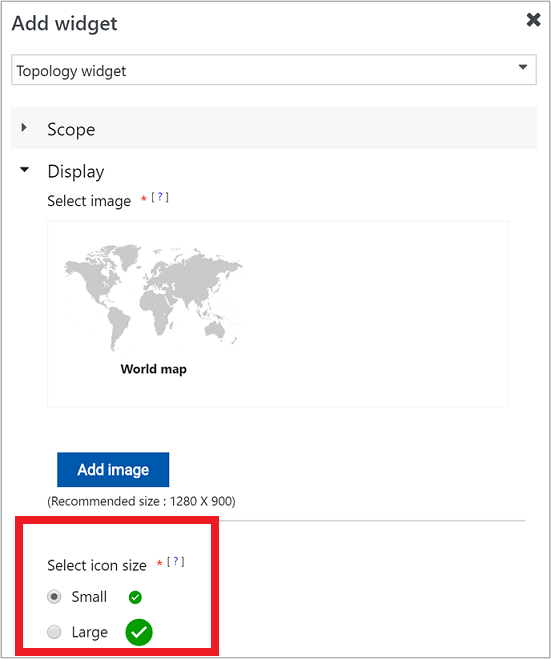 Service Map integration with System Center Operations Manager (SCOM) to automatically create distributed application diagrams based on the dynamic dependency maps in Service Map. 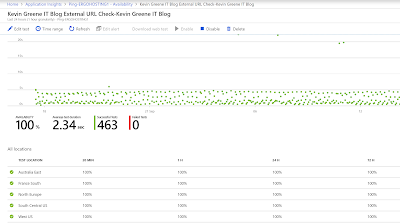 New Azure Management Pack allows viewing of Azure performance and alert metrics along with integration for web application monitoring in Application Insights. 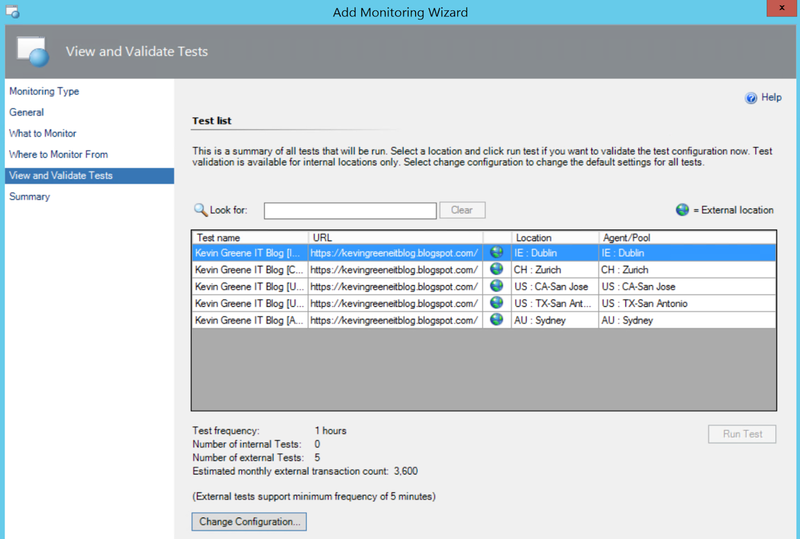 Also, support for monitoring more PaaS services, such as Azure Blob Storage, Azure Data Factory, etc. 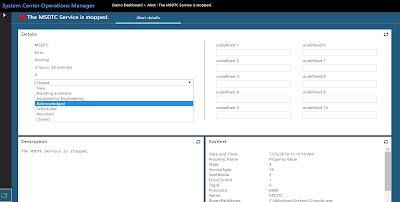 Full HTML5 dashboards and drill down experiences in the SCOM web console. 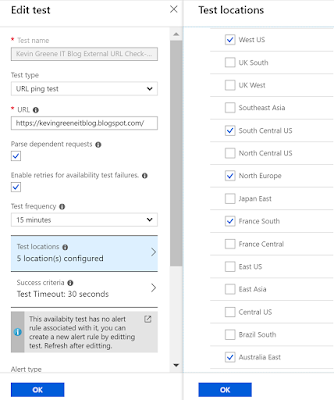 New alerts experience for monitor-based alerts. 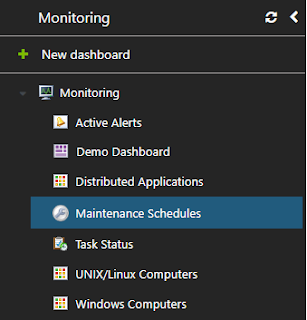 Enhanced Linux monitoring leveraging Fluentd and now is resilient to management server failovers in your Linux environments. VMM 2019 now includes a new role, VM administrator, which provides just enough permissions for read-only visibility into the fabric of the data center, but prevents escalation of privilege to fabric administration. Manage and monitor HCI deployment more efficiently. Simplified patching of VMs by integrating with Azure Update Management. 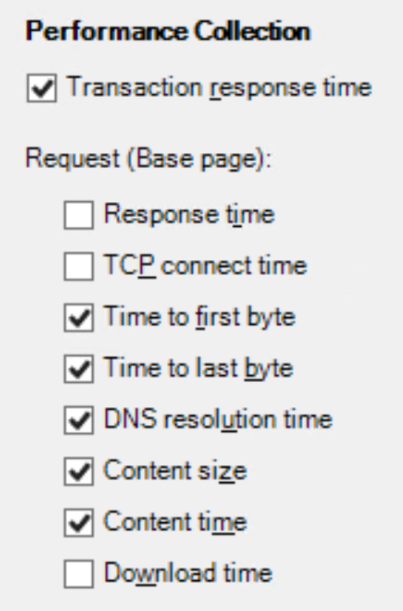 Improved backup performance (75 percent increase in speed). 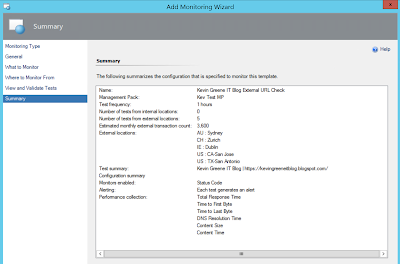 Monitoring experience for key backup parameters via Azure Monitor Logs. Backup of VMware VMs to tape. 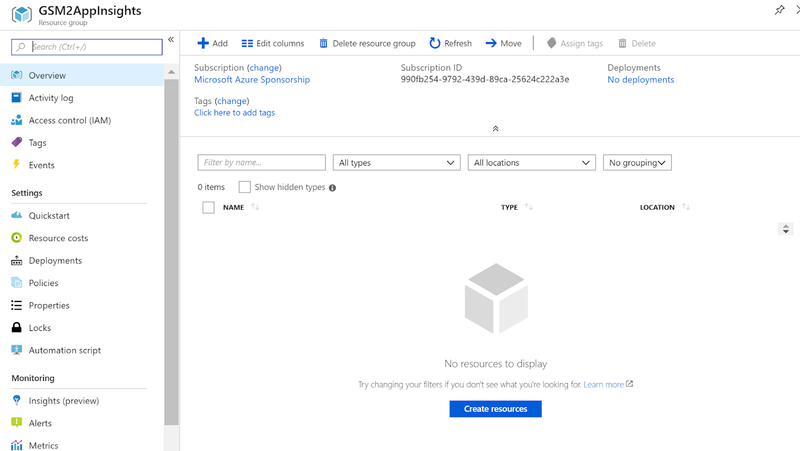 SharePoint 2019 and Exchange 2019 backup support. 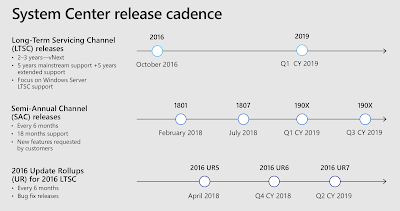 Only as recently as the Microsoft Ignite conference last September, we saw a presentation that planned out the release cadence of System Center for the coming year (see the following screenshot), which included a direct branch for the Semi-Annual Channel release model up to 190x. For any of our customers that had Software Assurance on their licensing model and who needed to upgrade, our advice was to go directly to the new Semi-Annual Channel release of SCOM 1801 (and then to SCOM 1807 once that was released). The main reason for this recommendation was that this release contained loads of new features and enhancements compared to older versions and we found it to be much more stable too. However, with this latest announcement from Microsoft about System Center 2019, if you've previously jumped onto the Semi-Annual Channel model, you'll need to ditch this and move back to the LTSC model instead. You might be looking at this announcement for System Center 2019 and wondering if you should upgrade and before you do, there's a few things to consider as the new features and enhancements in this release have to be taken with a certain amount of context. Looking at an upgrade purely from a supported workload perspective and if you're still running System Center 2012 R2 (which we find most existing System Center customers still do), then Mainstream support for this release ended in 2017 (see here). "Based on the learnings, we will start to focus our resources on innovation plans for System Center in LTSC releases and stop SAC releases. 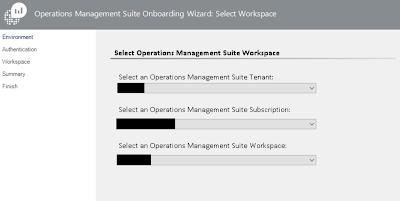 System Center 2019 will support upgrades from two prior SAC releases so customers running System Center 1801 or System Center 1807 will be able to upgrade to System Center 2019; just as System Center 2016 can be upgraded to System Center 2019." Taking this statement as-is, I read into it that System Center 2019 won't support an in-place upgrade from System Center 2012 R2 and as such, you'll need to first go to either System Center 2016 or System Center 1801 and then up to System Center 2019 - which is essentially two upgrades that you'll need to perform and validate. 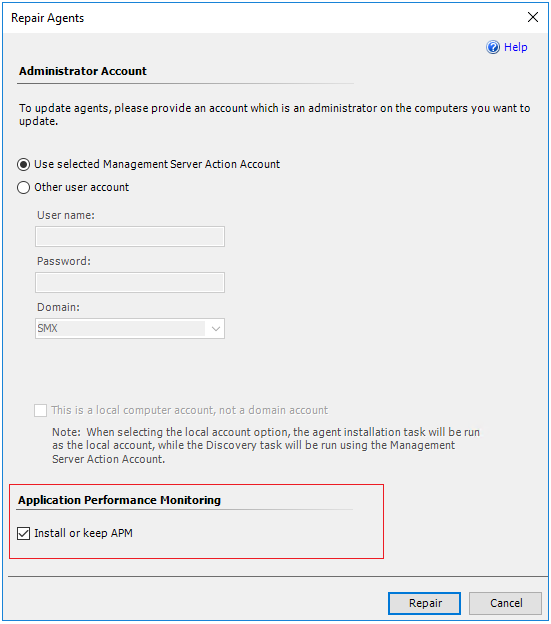 If you're OK with the fact that mainstream support has ended for System Center 2012 R2 or you're currently running System Center 2016 in your datacentre, then to be fair, the features that you get with System Center 2019 are an excellent reason to upgrade. Also, System Center 2016 was my least favourite release of the platform that I've worked with due to lack of new features and agent bugs. Wherever possible, I had recommended to our customers that they skip the 2016 release and wait for the next one! 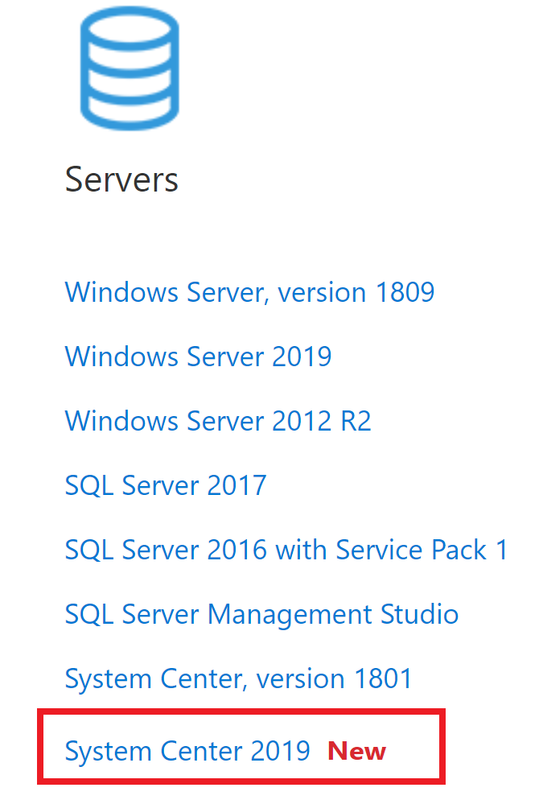 Those of you who jumped onto SCOM 1801/1807 to take advantage of the new features and enhancements that these releases brought, will probably be disappointed to know that you have no choice but to upgrade to the SCOM 2019 LTSC release and as most of the new capabilities announced for this release were previously available through Semi-Annual Channel, then an upgrade won't bring as much value as you would have expected at this point in time. For me, this announcement is kind of bittersweet. In one way, I feel that the lack of information and previous heads up about this licensing change from Microsoft could have been handled better (remember, it was only in September that they were all-in with the Semi-Annual Channel release model). 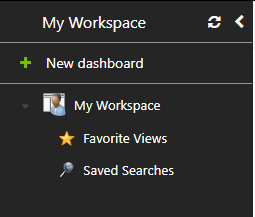 On the other hand, the fact that we're back to only having to manage and promote a single System Center release model makes life easier and Microsoft have also committed to delivering new features to LTSC through the use of regular update rollups (these were previously only used to deliver bug fixes) - which is great news.